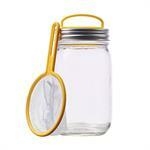 Safely catch fireflies (lightning bugs) with this fun and easy to use mason jar attachment. 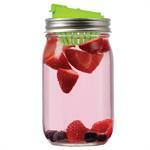 Turn any wide mouth canning or mason jar into a fruit infuser. Create refreshing drinks with fresh or frozen ingredients. 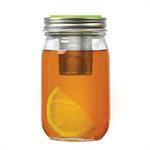 From sun tea to fruit infused alcoholic beverages, this BPA free mason jar adapter does it with ease. 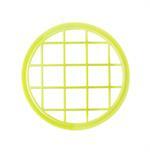 Keep your preserves fresh with this cute pink Berry themed jar lid. Fits regular (standard) mouth Mason Jars and Jelly jars. Enjoy fresh squeezed fruit juice in a snap. Fits wide mouth Mason Jars. Turn any wide mouth Mason or Canning Jar into a fun and easy to use storage jar, it's not just for coffee! 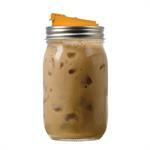 A simple way to keep your beverage in your mason jar, while providing an easy to sip spout. 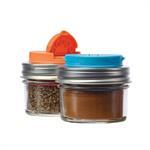 Fits regular (standard) size Mason Jars. 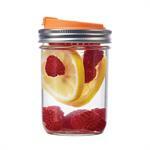 Easily add fruit to any water, sparkling water, tea, or other hot or cold beverages. Fits standard (regular) mouth Mason Jars. 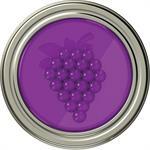 Keep your preserves fresh with this cute purple Grape fruit themed jar lid. Fits regular (standard) mouth Mason Jars and Jelly jars. 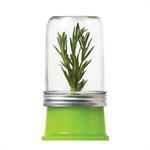 A fun new way to keep herbs fresh in the kitchen. 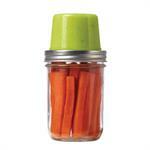 Designed to fit regular (standard) mouth Mason or Canning Jars. A cleaver and clean way to dispense honey. 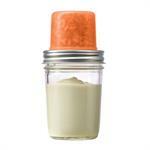 Fit standard (regular) mouth Mason Jars. Keep your preserves fresh with this cute citrus Orange fruit themed jar lid. 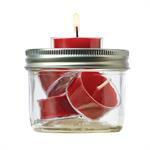 Fits regular (standard) mouth Mason Jars and Jelly jars. Keep your preserves fresh with this cute peachy orange Peach fruit themed jar lid. 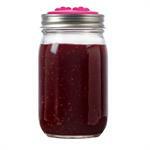 Fits regular (standard) mouth Mason Jars and Jelly jars. An ingenious design! 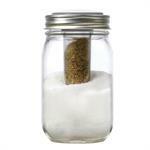 Easily store and dispense both salt and pepper from a regular mouth Mason Jar. Adds a touch of country to any table setting. Great for travel, too. 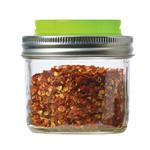 Turn any small jelly jar or canning jar into a spice or seasoning dispenser. 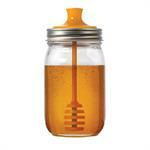 Brew any type of loose tea using our fun Mason Jar Tea Infuser Adapter! 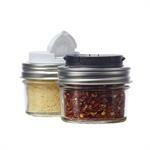 Fits regular (standard) mouth Mason and canning jars. 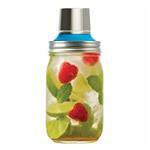 Turn a regular mouth canning or mason jar into a chic oil cruet/syrup dispenser. 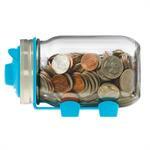 Transform a 16 ounce Mason Jar into an adorable piggy bank with our cute, bright blue Piggy Bank Adapter! Complete with head, ears, snout, and four blue legs! 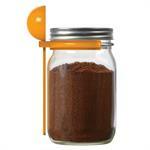 Turn any regular mouthed canning or mason jar into a spice shaker or dispenser. 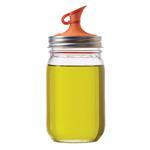 Ideal for mason jars in the 4 ounce, 8 ounce, or 16 ounce size, depending on your needs. 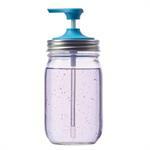 Transform your jars into your new favorite cocktail shaker! Our Cocktail Shaker lid is BPA free and made from recycled materials, especially designed to bring even more uses to your regular mouth mason jars (jar not included). Set of 4 Strawberry themed lid toppers for fruit jams, jellies, preserves and more! 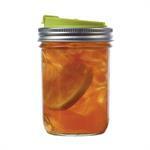 Turn a wide mouthed canning or mason jar into a stylish and chic drinking jar with lid. For drinks on the go, or just around the house.